This list includes free utilities and software for Windows that I have used and believe are the best available. If you enjoy having free software on your desktop that can make you more productively, these are perfect for accomplishing that. These tools are all applications for the desktop. This list doesn’t include any tools intended to be used online or with online content. These are for offline use and local utilities on the desktop. Considering I’m a graphic artist, there are several graphics applications on this list, but I really couldn’t think of any other great utilities more capable. Irfanview is a super fast, small graphic and picture viewer. It offers many powerful features, excellent support of hundreds of graphic formats and great features to view images and to make slideshows from them. A close competitor is XnView. Paint .NET is an impressive, high quality photo editing and paint package. 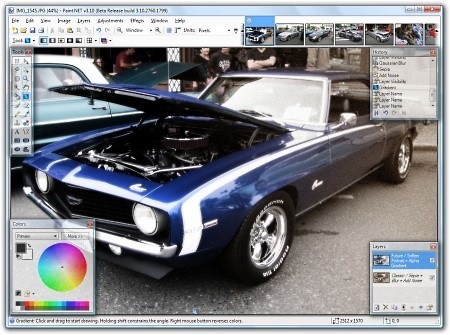 Its a great replacement for far more expensive tools like Photoshop or Paint Shop Pro. The thing I love the most about it is its great user interface, and sheer speed. It is fast to load, learn and use. Feature wise, it has multiple layers, editing effects, paint tools, multiple format support, screen capturing and unlimited history. Another great alternative for Paint.NET is GIMP, which certainly has more more features, I just prefer Paint .NET as it does what it does, faster and better! Picassa is a great photo organizer, especially if you have a lot of photos from a digital camera. It lets you easily locate and organize all your photos and movies. Its easy to apply some simple effects and touch ups and offers a number of ways to share your photos. It includes quick support to share photos on email, free online web photo albums as well as with Blogger and printing and exports for web pages. Its very easy to learn and will definitely save you time organizing your photos. IZArc is a powerful archive utility. I believe it is by far the best archive utility as it supports a huge list of archive formats and integrates the best into windows explorer to make its features available directory with all your files. It even supports opening and converting CD/DVD image files. 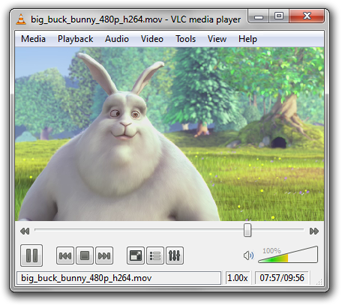 VLC Media Player – VLC is a highly portable, compatible media player for nearly any type of audio and video formats. It also supports DVD playback and streaming protocols. Xplorer2 Lite will help you browse your desktop files more productively and give you a much more capable file management engine and feature set than what is available natively in windows. It gives you dual listers and trees to make file management much easier. Its multithreaded and has many additional features like better filters, renaming, enhanced search and simple file viewing. File Hamster – This is a fantastic little tool that makes backups and version tracking for any set of files. Its ideal for anyone who edits a lot of documents, files, pictures or any other content and want to have it backed up with each revision tracked and made historical. I find that I use this more than a regular backup tool since it archives all file changes and lets me quickly revert to any version with a safe backup on another harddrive in the event of a failure. And of course I also maintain other drive and offline backups. Notepad++ is a text editor (notepad replacement) and source code editor which supports various languages, multiple files open at a time, auto completion and many other great features. If you ever use notepad or wordpad to edit a text document, STOP! Replace it with Notepad++. JKDefrag – Most people do not realize that their harddrive gets incredibly slow by fragmented files. The windows defragmentation tools are very slow and poor, and your productivity can be easily improved by using JKDefrag as a disk defragmenter and optimizer to speed up your system with better file and disk access. Next: Preparing for your own performance review. Real gem!! Already used it with my last post :)! Paint.Net, really cool! i think Picasa is also a wonderful program. I have most of the other utilities mentioned here, except for the defragmenter, since i do a lot of downloads etc my drives fill up in no time besides getting fragmented like crap. Its a pain to run the task manually, so i installed an automatic third party tool to get the job done without my help. One tool I find indispensable and use it several times a day is SlickRun by Bayden Systems (http://www.bayden.com/SlickRun/). It’s essentialy an application-launching utility. One can create and customize commands and type them in the small box (which in turn can be ppped-up using shortcut keys). Simple yet powerful. I would be so lost under Start >> Programs without it! Sometimes free is better than commercial software. Good group of programs I don’t think I will ever use a design program other than Photoshop though I will check it out, I know some people that have been searching for a cheaper option. The VLC media player has helped me view quite a lot of movies and other things I wasn’t able to get my regular players to work.